Singapore Airlines (SIA) stories of stewardesses, stewards of more than 10 years by Boh Tong : High profile cabin crew in financial trouble? High profile cabin crew in financial trouble? This high profile cabin crew who gave the impression that she was married to a very wealthy husband is now in financial ruins, we were told. The above message was WhatsApp to me yesterday. She has left SIA and is now not contactable. There were numerous such cases of stewardesses who were married to the wealthy and later suffered the same fate as the one above. In particular, I personally knew of one girl who married a rich divorcee. Years later, he lost all his wealth due to poor investment in the stock market. They both became hawkers but again lost money. One whom I have met recently tried to borrow $2,000 from me. We have not seen each other for at least 20 years after her departure from the airline. 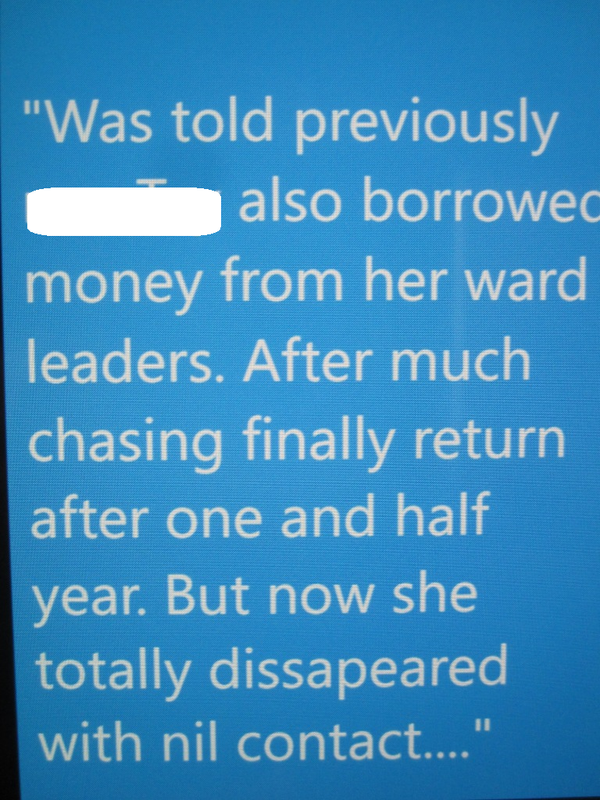 Her "wealthy" husband has fled the country due piles of debts he owed to some institutions and business associates. Mind you, these were people with lots of money whom we used to envy. While most of us were holed up in small HDB "pigeon holes" (these rich ones sometimes made fun of those living in HDB flats) they were living in big landed properties and driving Mercedes, Jaguar and the likes. Many cases involving cc who were in money woes. Were these people overstrectching themselves by overspending? u think when man/woman got high income, really cannot control money flow mah? how come there are so many cc heard of ,had hard time cos of money issues ar? Main reasons are due to gambling and high living to keep us with the Jones.